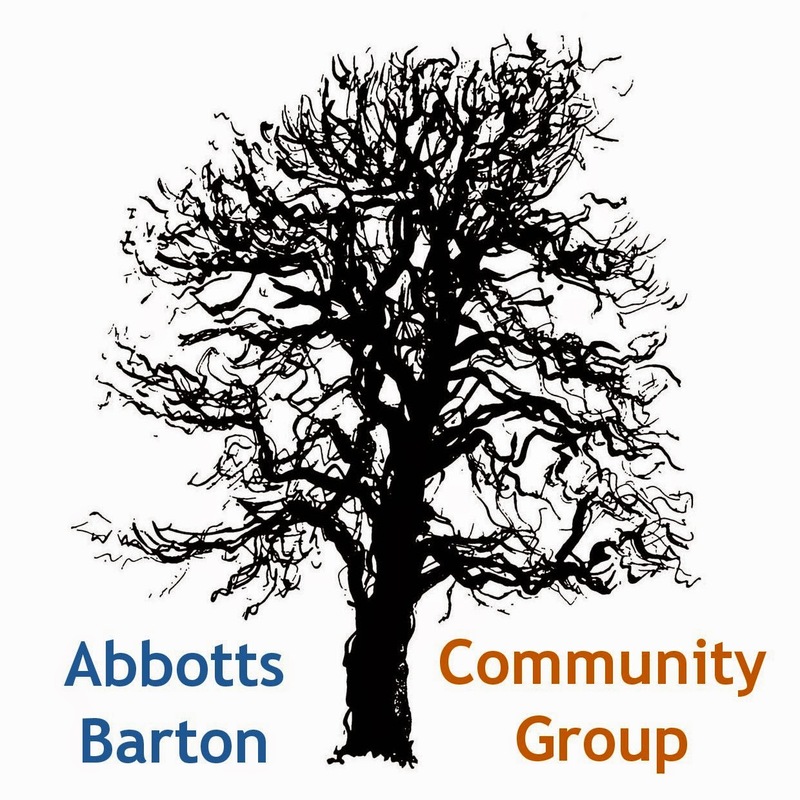 Here I am again, Sylke from the Abbotts Barton Community Group, with the weekly news roundup! Just in case you were wondering, we are really only a very loose group, we don't have any fixed roles or even fixed members. I have been living in Abbotts Barton for the last seven years and via the SaveTheParks campaign I have started to look more into what is happening locally. When a friend had the idea to do a general community group despite not having any meeting place, I took on the internet side of things. I like to look for information and to distribute it - and these days the internet offers great opportunities to meet up and discuss things virtually. There are a few more people who are active (as in talking to councillors, or maintaining the notice board), maybe we could get them to introduce themselves here at some point too! If you would like to properly meet up with any of us, maybe just to get to know a few more people locally, give us a shout and I'm sure we can arrange something! This Monday we had the open meeting at the Rugby Club done by the Save The Rec group, and you've probably seen my write-up and Winchester Today's Winchester RPLC plans “like GCSE project”. Apart from the 200+ residents, there were also a number of City Councillors at the Save the Rec meeting; I recognised Jim Maynard (LD), Janet Berry (L) and Ian Tait (C)! There were a few more - but no other Conservative councillors. Have you been to the exhibition done by the council? If you can't get there, take a look online where you can also fill out the comments form. Important: "The deadline for comments to be received is midnight Monday 2 December 2013." The BBC reported about Edward Agombar, 11, in campaign to save Winchester’s River Park. WinACC reports that Climate change is back in Winchester's Community Strategy. What do you think, should dogs be allowed in Hillier Gardens? At the bottom of the page there is a link to a survey asking exactly this! Fruits of Fulflood collect surplus to give away or raise funding. Buy at St. Paul's 7.30 today (28 Nov). Maybe cake is the way to go? 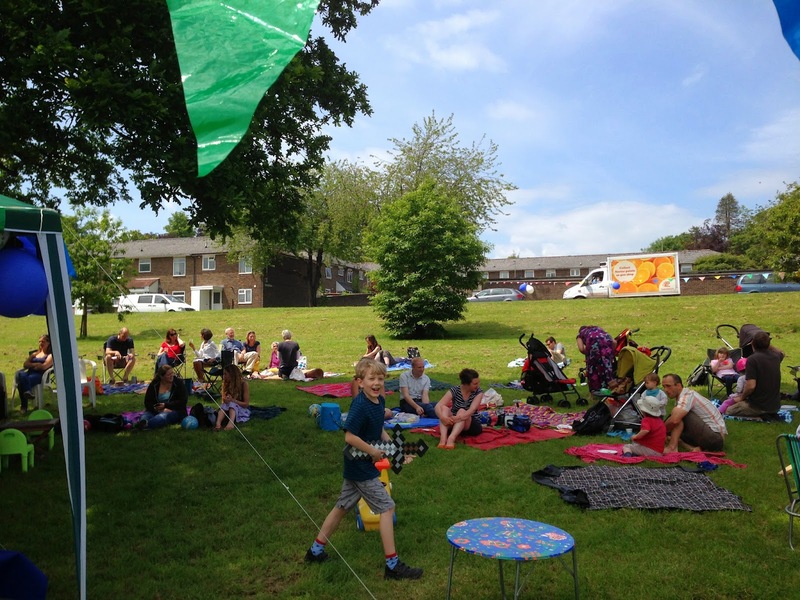 Winchester community group celebrates 10th anniversary. WinACC published their Transport Vision for Winchester to "set out the changes we need to make the city more friendly for walking and cycling". Here is a direct link to their PDF. An interesting angle on fracking in the Guardian: Water shortages may make fracking impractical, industry says. Has anybody used any of the four energy suppliers listed by WinACC? Renewable energy - without generating it yourself. I'd be very interested to hear reports! As we are entering the cold and flu season, Doctors support campaign encouraging patients not to rely on antibiotics. Makes sense. Disruption warning over car park expansion at Winchester Train Station. This started this week: Roadworks due to begin next week affecting Easton Lane traffic. Has anybody here been affected and had to take long detours? Some more detailed info, also for next week: Highways Agency announces overnight closures of Winnall Roundabout. TODAY (28 Nov): This year's lantern parade in Winchester will take place today. If you haven't registered your homemade lanterns yet to take part, it's too late for that, but of course you can always go and watch! So, today's children are slower than their parents were as children. Why not race your kids and see who wins? At Winchester Discovery Centre there is a touring exhibition showcasing a superb selection of Japanese treasures. I haven't been yet but it's going to be there until 5 January so I'm hoping to get round to going there! Has anybody been to the First Cut exhibition in the SeaCity Museum in Southampton? It looks really interesting and there's "only 8 weeks left until we wave goodbye to The First Cut! This is the last time the show will be seen. Sad times." November is nearly over, but did you see those fantastic Dinovember photos going round the web? There is Welcome to Dinovember and also Something a Little Different at Eats Amazing! If my son was just a little younger I think he would have really enjoyed these cheeky dinosaurs, snooping around the house at night during November! If you find the information presented here useful, feel free to forward the blog URL or email to your friends!